A federal grand jury on Thursday indicted Greg Craig, a prominent Democratic attorney who worked for two presidents, charging him with making false statements and concealing material information in connection with work he performed for Ukraine in a case stemming from special counsel Robert Mueller's investigation. Craig, 74, is the highest-profile Democrat to be indicted in a matter connected to Mueller's work, which resulted in charges against numerous Republicans tied to President Donald Trump. A former White House official accused of mishandling security clearances will appear before the House Oversight and Reform Committee on April 23 as part of its ongoing probe into the Trump administration’s security clearance process. The lawyer representing former White House Personnel Security Director Carl Kline wrote in a letter to the committee Wednesday that he regrets the circumstances under which the testimony will occur but that his client will appear for the deposition later this month. The committee voted along party lines to subpoena Kline on April 2 as part of the panel’s ongoing probe. Immigration and Customs Enforcement Acting Director Ron Vitiello resigned Wednesday, days after President Donald Trump withdrew his nomination to permanently head the agency. Department of Homeland Security Secretary Kirstjen Nielsen announced Vitiello's departure, which comes three days after she revealed her own resignation. "During his tenure leading ICE, Ron has been an unwavering advocate for the dedicated men and women who enforce our immigration laws and protect our nation from the illegal entry of drugs, human trafficking, transnational criminals, counterfeit goods, and so much more," Nielsen said. The Fox Business Network issued an on-air correction Thursday after the network aired a poll graphic — later shared online by President Donald Trump — that incorrectly displayed the president's unfavorable rating as his job approval rating. 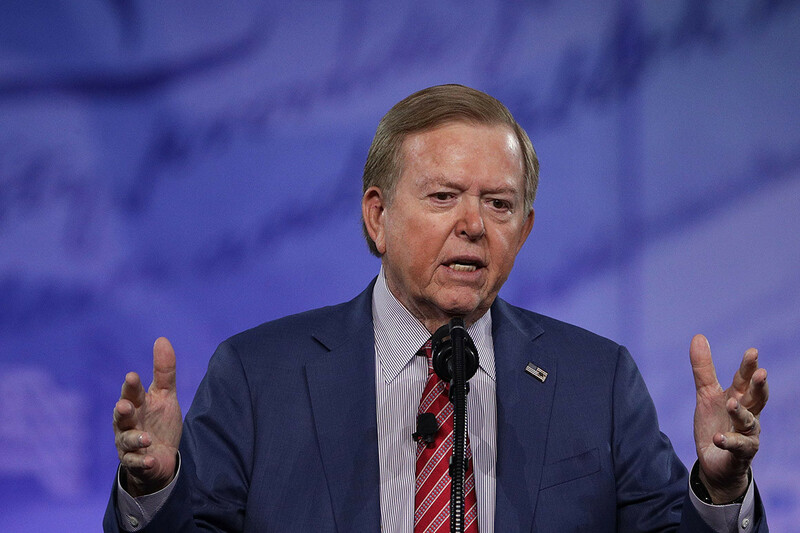 “It’s been a quite start to the day for President Trump, though he did send out a tweet this morning from the Lou Dobbs show last night on Fox Business," Washington correspondent Blake Burman said on behalf of Fox Business. "That tweet featured a poll that was not entirely accurate, which Fox Business would like to correct." TVNL Comment: What does 'not entirely accurate' mean? Dobbs' poll numbers were totally accurate by a long shot. They were either accurate or inaccurate. Period. A federal grand jury has indicted attorney Michael Avenatti on 36 counts of fraud, perjury, failure to pay taxes, embezzlement and other financial crimes, the U.S. Justice Department said Thursday. The indictment said Avenatti stole millions of dollars from five clients through a group of shell companies and bank accounts to make it more difficult to track. A hearing was set for 9 a.m. PDT Thursday, when federal prosecutors will release more information in the case. The victims in the case include a mentally ill paraplegic who won a $4 million settlement against Los Angeles County. Avenatti is accused of having the money wired to him and hiding it from the victim for years. The charges say he used a similar method to steal $2.75 million from another client. Kim Jong Un has threatened to deliver a “telling blow” against the U.S. if it continues to impose sanctions on North Korea. The leader's statement was a return to the more aggressive language he used to use before he and Donald Trump befriended each other at their two meetings. In his first public comments stating North Korea’s position on the second U.S.-North Korea summit that collapsed without any agreement in February, Kim said he wants to create a self-supporting economy. The son of a Louisiana sheriff’s deputy has been arrested in connection to fires at three black churches, say sources. 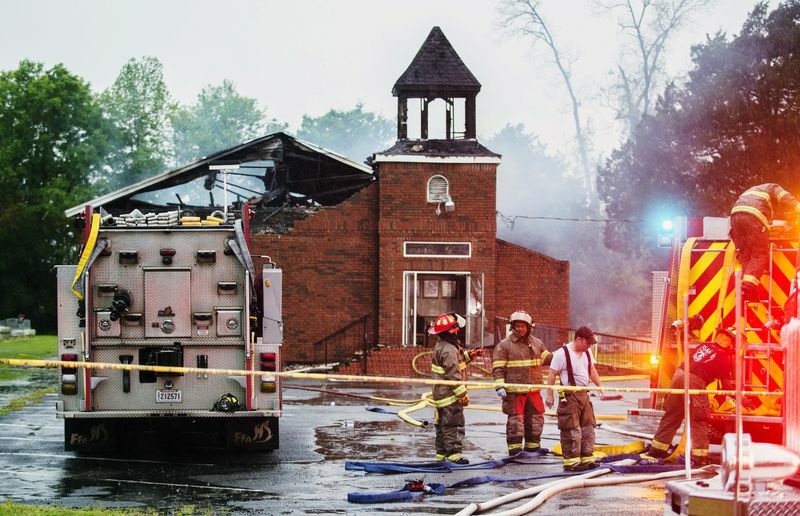 Two of the Baptist houses of worship — Greater Union Baptist Church, which was destroyed on April 2, and Mount Pleasant Missionary Baptist Church, which burned on April 4 — were located in Opelousas, St. Landry Parish. St. Mary Baptist Church in Port Barre was destroyed on March 26. The suspect has been identified as Holden Matthews, according to TV station KATC. Ecuador's president said it withdrew his asylum after repeated violations of international conventions. Mr Assange was initially taken to a central London police station before appearing at Westminster Magistrates' Court on Thursday afternoon.